Old Lace, discovering his aunts are murders. The story begins with Mortimer Brewster proposing to his neighbor, Reverend Dr. Harper’s daughter, Elaine Harper. She excitedly accepts, so Mortimer leaves on a trip to share the happy news with his family. While visiting his two aunts, Abby and Martha Brewster, and Uncle Teddy, he discovers that his highly regarded and beloved by all family, are crazed yet proficient serial killers. The surprisingly comedic play also features the outrageous delusions of Teddy Brewster who believes he is actually Teddy Roosevelt. He believes he is digging graves for and burying the bodies of his courageous soldiers that have patriotically died in the Spanish-American war, when in reality he is really just an accessory to murder by burying his sisters’ victims. Another aspect of this year’s play that makes it so fascinating is the fact that these sisters aren’t killing out of cold blood. They believe that they are doing their treasured community good by killing off unmarried, single men. 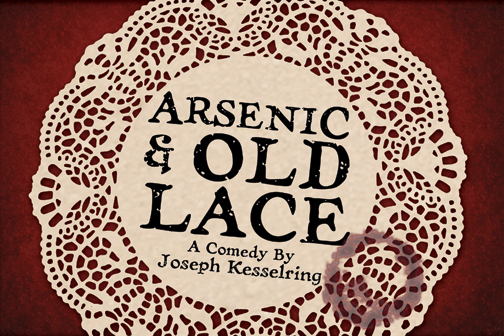 If you have seen the Cary Grant movie version of Arsenic and Old Lace then you will be surprised to discover the theater production ends very differently. How differently? You will have to attend to find out. Auditions will be conducted Tuesday, August 30 at 3:15pm in the PAC. Interested students can sign up in the music hallway.